If you wish to attend, please submit your details below. The Clean Energy Package, the European Commission’s far-reaching plan to further transform the EU energy sector, introduced in November 2016, is entering a crucial phase. Various files, including those on energy governance, energy efficiency and renewables, are in advanced stages of the EU decision-making process, which requires agreement between Commission, European Council (the Member States) and European Parliament. One of the key parts of the Clean Energy Package are the proposals around the redesign of the electricity market. The European Council adopted a position on those in December. Plenary votes in the European Parliament are expected in March and April, after which final decisions will probably be made in the second half of this year. Electricity market design refers to four legislative proposals: on the wholesale market, the retail market, the role of regulators and risk preparedness. Energy Post will organize a debate in Brussels on 20 March focusing in particular on the proposals for the wholesale market. This is a complex but key topic: the way the wholesale market is (re)designed, will ultimately underpin the entire European electricity system. Our debate will focus in particular on how capacity markets should be designed (if we need them at all) and how the increasing amounts of renewable energy should be regulated and integrated into the single EU electricity market. We are happy to say that Latvian MEP Krišjānis KARIŅŠ, member of the European Parliament’s ITRE Committee and the rapporteur on the wholesale and retail market files, will attend our event to discuss the ITRE Committee’s views. The debate will be moderated by Energy Post and registration opens at 17.30. Member of the European Parliament, rapporteur on directive and regulation on common rules for the internal market in electricity and prevention of the use of the financial system for the purpose of money laundering and terrorist financing’. Dr. Kariņš is a Latvian politician with a background in both business and academia. He has been a Member of the European Parliament since 2009. He serves on the Industry, Research and Energy Committee (ITRE), the Economic and Monetary Affairs Committee (ECON) and Emission Measurements in the Automotive Sector (EMIS). Dr. Kariņš’ work on energy issues is dedicated to decreasing European dependence on imported energy sources. Dr. Kariņš was Minister of Economy of Latvia from 2004 to 2006, and a Member of Parliament in Latvia from 2002. Before entering politics, Dr. Kariņš was a successful entrepreneur, being involved in frozen foods, automotive products, and office supplies. Dr. Kariņš’ formal training is academic, having received his PhD in linguistics from the University of Pennsylvania. Andreas Schröter has been appointed as Executive Vice President Advisory Central Europe & Mediterranean as of 1st February 2015. In this role is responsible for all renewable and traditional energy advisory services in Central, Eastern and Mediterranean Europe as well as Latin America. Previously he headed the world market leader Renewables Certification in legacy GL and continued in the same role following the merger of DNV and GL in September 2013. Before joining GL in 2011 he had spent more than 15 years in the telecommunications industry working for Siemens, Nokia Siemens Networks and Rohde & Schwarz where he held a variety of engineering, sales, service, management and country CEO positions. During his various assignments he gained experiences in managing growth and international expansion as well as restructuring. Being part of Siemens’ management team he played a key role in the merger and integration process of Nokia Siemens Networks. Andreas features international experience by having spent five years working and living in Colombia and Peru. He further has worked and lived in Britain, Japan and Spain. He earned a PhD in Management with a thesis about matrix organizations from the University of Gloucestershire, Cheltenham, UK. 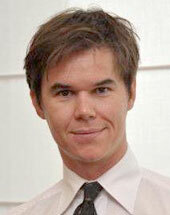 He also holds a degree as Global Executive MBA from the IESE Business School in Barcelona, Spain. Andreas started his academic career by obtaining a MSc (Dipl.-Ing.) in electrical and electronic engineering at the University of Bochum in Germany. Michel Matheu is currently Head of Strategy and Stakeholder Relations in the European Affairs Division of Electricité de France (EDF). 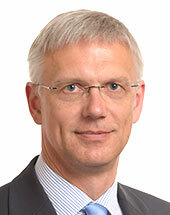 He has held different positions with EDF in the fields of strategy, regulation and public affairs. 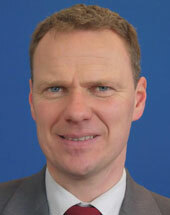 He joined EDF in 2003 after a career in the French Civil Service, in particular at the Planning Office, an advisory body to the Prime Minister. 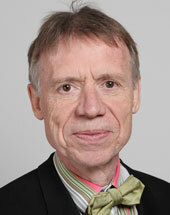 He has also had an experience of research and consulting and of editing journals published by the French government. He is Chairman of the Strategy Committee of EASE and Vice-Chairman of the Energy Policy & Generation Committee of Eurelectric. James Matthys-Donnadieu is currently head of the Market Development Department at Elia System Operator that is responsible for the design and implementation of all interconnection capacity, energy, balancing and adequacy market mechanisms in Belgium and the integration thereof within the broader European context. 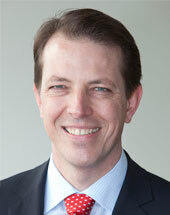 Before joining Elia in his current role, he respectively held positions as COO of the APX Group and CEO of its subsidiary Belpex (the APX Group – now part of EPEX Spot – was the leading exchange and clearing house for short term power products in NL, UK and BE), as member of the Management Board of APX-Endex BV and as head of the European Market Integration department of Elia System Operator. James holds a Master in Business Economics from the University of Antwerp and a Master in Business Administration from the Vlerick Management School. 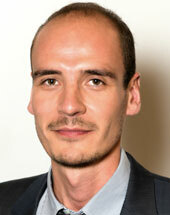 Jérôme Le Page is an independent consultant in the field of energy and international cooperation. 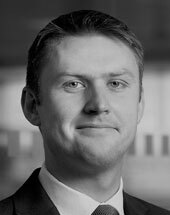 In this capacity, Mr Le Page has worked with the European Federation of Energy Traders (EFET) since February 2012. As their Director for European Electricity Markets, he is in charge of coordinating EFET’s public policy advocacy on regulatory matters pertaining to wholesale electricity market design at the European level, the harmonisation of national frameworks and the integration of renewable energy sources into the wholesale market. Anne-Malorie Géron joined Fortum in August 2016 as Vice-President for European Affairs with the tasks of representing the company in Brussels with respect to its power and heat business and with specific emphasis on new core activities such as the circular economy, new sustainable city solutions and RES development. 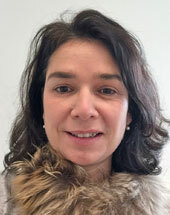 Anne-Malorie read European Law (College of Europe, 1995) and International Tax Law (University Paris XI/HEC, 1994) joining Eurelectric in 1998 where she held various positions including Head of the Markets Unit (2002-2014) and of Head of Energy Policy and Generation (2014-2015). Her focus was on integrating electricity markets and adapting them to more intermittent electricity production. Michael is Director of Policy and Regulation at UK Power Reserve (UKPR). He began his career with the UK Diplomatic Service where he held a variety of positions in the UK and overseas, including roles developing international energy and climate change policy. After nearly a decade at the Foreign and Commonwealth Office, Michael moved to Ofgem to develop and implement the European Third Energy Package. He also led on the regulation of the UK gas interconnectors and represented Ofgem at the EU Agency for the Cooperation of Energy Regulators (ACER).